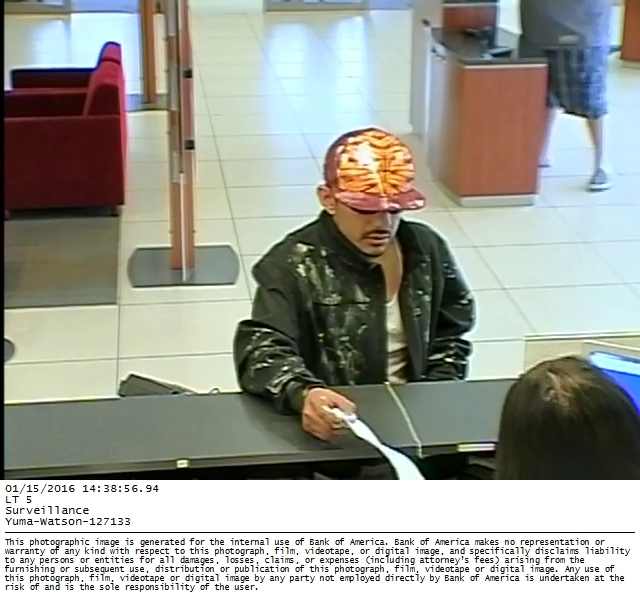 A Hispanic male wearing a red hat with a yellow and red design, blue jeans, a white shirt, and a black jacket covered in white paint handed the bank teller a note stating he had a gun and demanded money. The subject fled on foot east from the bank. 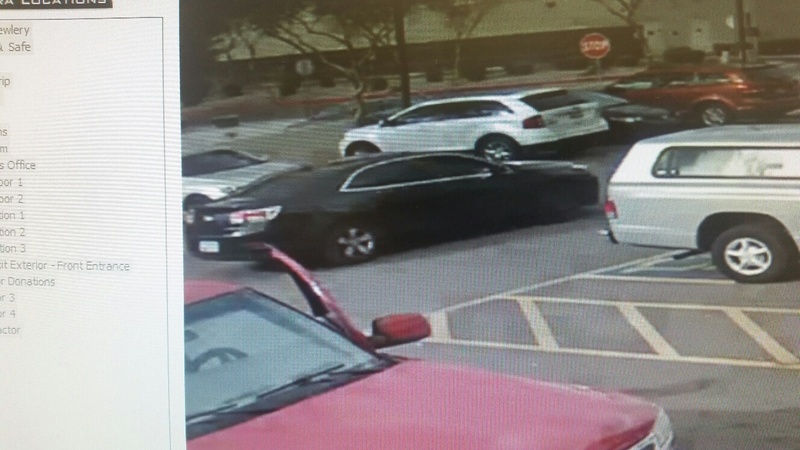 Surveillance video showed a black Chevy 4 door passenger car leaving the parking lot of the Goodwill just after the subject was seen in the parking lot. The right front wheel was a black stock rim and the other wheels were a type of chrome alloy. The vehicle has dark tinted windows. The vehicle left the area in an unknown direction. Anyone having information regarding this case is asked to contact the Buckeye Police Department, Det. 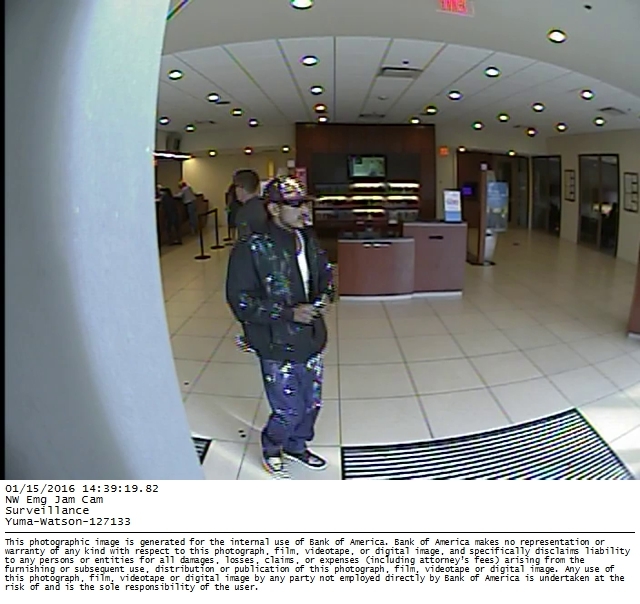 Crotteau at 623-349-6416 or the FBI Bank Robbery Task Force, Det. Maffei at 623-466-1393.